A developer is building small hydropower facilities along existing dams on Ohio's Muskingum River. A series of six small hydroelectric projects along the Muskingum River in southeastern Ohio point to hydropower’s potential as a robust, if underused, energy source for the state, supporters say. 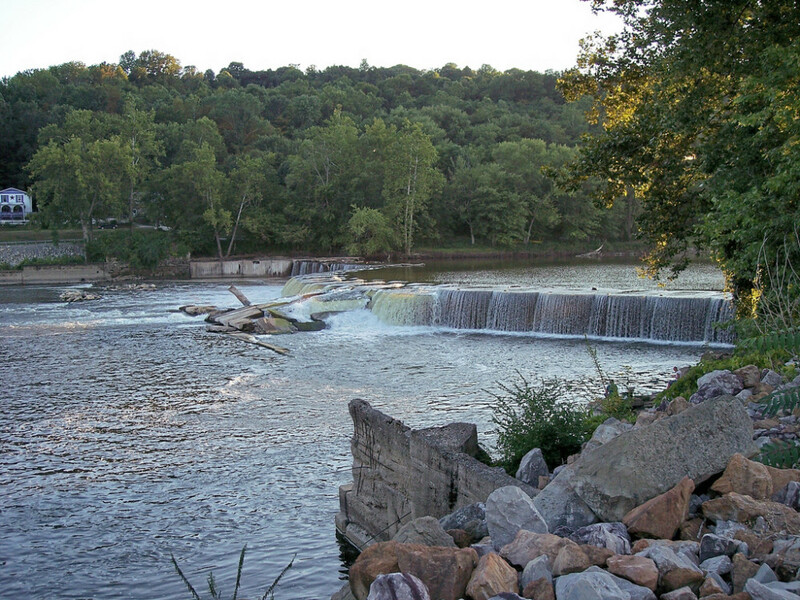 FFP New Hydro LLC, a developer of hydroelectric ventures on existing dams, and its partner group AECOM Capital obtained their last Federal Energy Regulatory Commission (FERC) license in March to convert a half-dozen Muskingum dams to hydropower. The generation facilities will be added to existing lock and dam structures owned and operated by the Ohio Department of Natural Resources. The projects, rated at 23 megawatts, will produce enough electricity to power 11,500 homes in Muskingum and Morgan counties, for a total cost of $118 million. Each site will provide anywhere from three to five megawatts, eliminating the need for coal, natural gas or other non-renewable energy generation, said proponents. According to The Public Utilities Commission of Ohio (PUCO), hydropower and other renewable resources currently only provide 1.5 percent of the state’s electric generation. The Muskingum effort meets state renewable energy standards presently frozen under Ohio Senate Bill 310. Along with providing emissions-free electricity, the “run-of-river” Muskingum dams will operate below water level, meaning little noise and no additional lighting, officials said. With licensing secure, plan partners are now moving onto engineering analysis and design. Construction is slated to begin in 2017 and will take about 18 months, said Don Lauzon, vice president of regulatory affairs with Rye Development, which is leading the regulatory process for the project. The structures are set to be built in a cluster along the Muskingum, starting with the Philo lock south of Zanesville and ending at Marietta’s Devola facility. To change the dams to hydropower, turbines will be housed in newly constructed power stations. The stations will be erected at a low profile to obscure the turbines from view. Direct environmental impacts will be similarly negligible, he said. For example, state and federal regulations are in place to monitor dissolved oxygen near hydroelectric dams, protecting aquatic life that would otherwise be threatened in under-aerated water. “We have engineering techniques to inject air in the turbines, so there’s no impact on fisheries,” said Lauzon. The reconverted dams will bolster Ohio’s thin hydroelectric portfolio: A 5-MW hydroelectric plant in the northwest corner of the state has been in and out of use since the early 20th century, while a two-turbine operation near Columbus cranks out another 5 MW. Hydropower may have a higher capital cost than wind or solar, but it also lasts longer, notes Kevin Maynard, who oversees the electric utility in Hamilton, Ohio. Hamilton gets much of its electricity from the 105 MW Meldahl plant, based across the Ohio River in Foster, Kentucky. Muskingum’s forthcoming dams reflect a U.S. hydropower fleet that has grown over the last decade as existing assets are upgraded. Additions to already built projects accounted for 86 percent of a net 1.48-gigawatt hydropower capacity uptick from 2005 to 2013, according to a 2014 Department of Energy (DOE) report. As of May 2015, hydro provided nearly 7 percent of the nation’s electricity supply – enough to power more than 20 million homes. However, hydropower backers believe currently non-powered dams are a beacon of untapped energy potential. The DOE identified 54,000 sites, mostly lock and dam facilities on the Ohio, Mississippi, Alabama, and Arkansas rivers that could tally 12.1 gigawatts upon conversion to hydropower. The National Hydropower Association estimated these projects could serve more than 250,000 households and circumvent two million metric tons of carbon dioxide annually. Including the Muskingum plan, FFP New Hydro has 23 hydropower development build-outs on existing dams in Pennsylvania, West Virginia, Indiana, Kentucky, Mississippi and Louisiana, Lauzon said. For the people on the Muskingum, each site will provide 100 to 150 construction jobs as well as continued staffing and service employment during operations. Employment and supplies will be sourced from area contractors and providers, depending on what the community has available. For instance, regional companies will be called in if concrete and other aggregate materials can be quarried locally. Rye is also meeting with area chambers of commerce to secure work for local inhabitants. “The idea is to keep those jobs in state, if possible,” said Lauzon. Hydro jobs are a potential boost for a region hard hit by the recession and stagnant overall growth, said U.S. Rep. Bill Johnson, who represents 18 counties in southeastern and eastern Ohio. Johnson, together with Ohio Sen. Rob Portman and Reps. Pat Tiberi and Steve Stivers, supported FFP New Hydro’s project license applications. In recent months, Johnson discussed hydropower with citizens from Muskingum County. While attendees were interested in the long-term prospect of clean energy, it was hydopower’s employment possibilities that truly grabbed their attention, Johnson told Midwest Energy News. Project developers, meanwhile, are heartened by the so far positive response from residents. Critics of the proposed 145-mile power line say it won’t reduce global greenhouse gas emissions despite company’s claims. Clean energy advocates say offshore wind is not being taken seriously enough as an option amid discussions of transmission lines and natural gas pipelines. While bills to promote pumped hydro storage in Virginia’s abandoned coal mines drew virtually unanimous support from both chambers, researchers, coal reclamation experts and even some renewable energy advocates say the idea is still unproven.